Universal lessons on the human condition provide solace, insight, and inspiration. The voice of the Divine is as near to you as your own breath—just ask. That's what Reverend Deborah L. Johnson did in 1995. In a moment of darkness, there was nothing she could do but surrender: "Take me now, oh Lord." Almost instantly she heard whispers—and they turned into more than 300 letters from Spirit. With The Sacred Yes, Rev. Deborah offers 54 of these epistles that provide not only soothing, affirmative wisdom, but words that lift us to our highest place of being. Each letter is a conversation, discrete in its own message, explains Rev. Johnson—whose Omnifaith Inner Light Ministries is the spiritual community of more than 1,500 people. The lessons are universal, addressing the human condition common to us all. They provide solace, insight, and inspiration for our hurts, fears, hopes, hesitations, and aspirations. The Sacred Yes speaks to us individually and collectively, providing new paradigms for our interpersonal relationships, societal institutions, and global affairs. The act of unconditional surrender to the unknown—without reservation or hesitation—is what transforms every circumstance into something that benefits us all. And according to Rev. 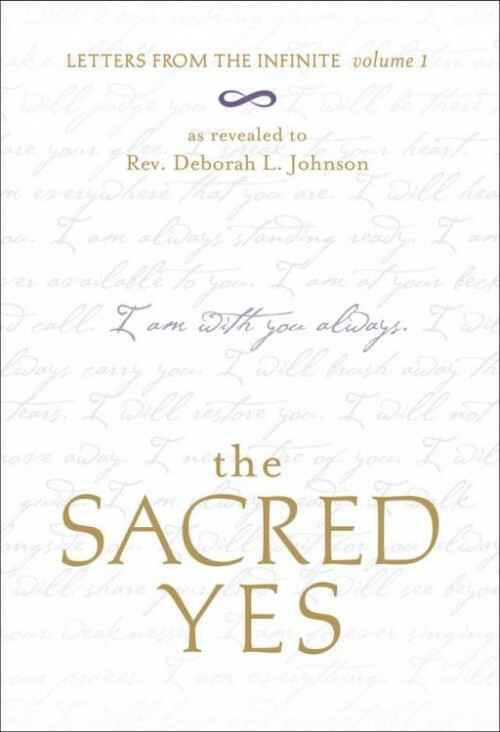 Deborah L. Johnson, it happens with one sacred word … Yes.